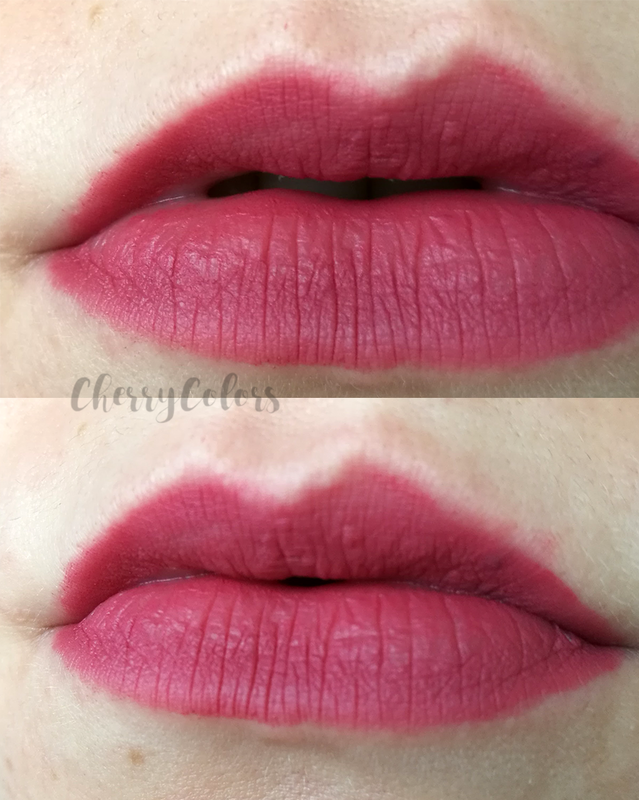 CATRICE Ultimate MATT Lipstick in 020 - Cherry Colors - Cosmetics Heaven! Before the BBMU 2017 event, I received a small package from Essence / Catrice. Inside there was this lipstick that I decided to wear on the day of the event. The lipstick is the Catrice ultimate MATT 020. MATTastic! This lipstick with a completely matt finish guarantees a high colour-dispersion and intensive coverage. Pleasant to wear and 100% matt. With just one application, the creamy texture creates a perfect matt finish without drying out the lips. The appealing matt packaging looks extremely elegant, too. Matt lipsticks look best on smooth and pampered lips. Dry or chapped areas instantly stand out. It is therefore generally best to use a lip balm and, if necessary, remove any dead skin cells with a gentle peeling before applying matt lipsticks. I remember having one of their older matte formulas of lipstick before. But this one looks different. The lipstick looks like it is porous (there are micro holes all over the bullet) and like it would feel extremely comfortable on the lips because of that. Mine came in a very wearable rose pink that felt perfect for the occasion - I loved wearing it at the event and after application, you don't even feel that you're wearing a lipstick. 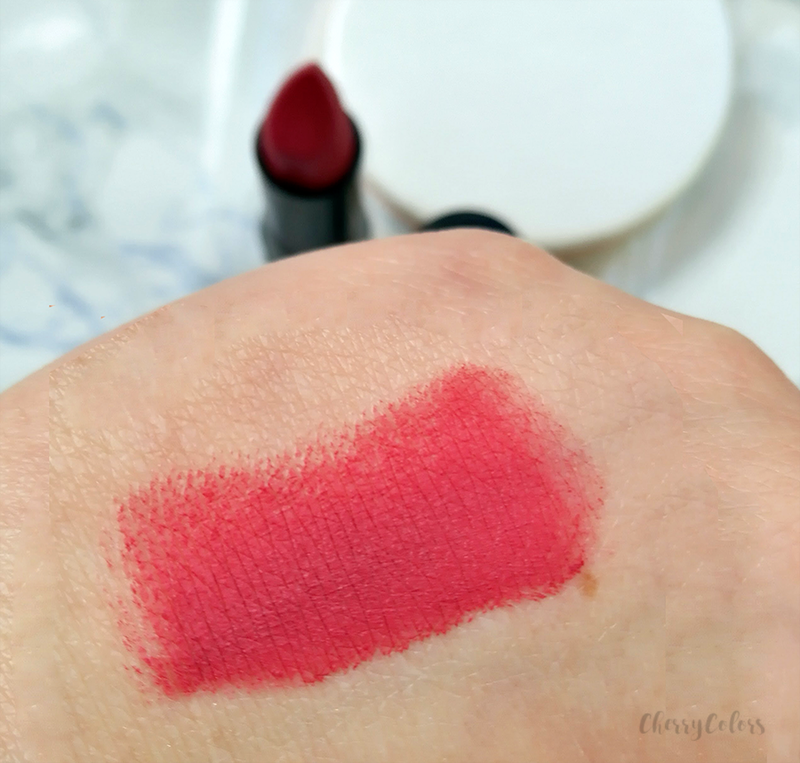 The lipstick is opaque and there is no need to be extremely precise with the application. My bad application was only visible on photos and not in real life :P.
The lipstick did survive some drinking and a tiny bit of coffee. It, however, didn't survive eating. But that was expecting because it acts as a regular matte lipstick that doesn't dry out your lips. 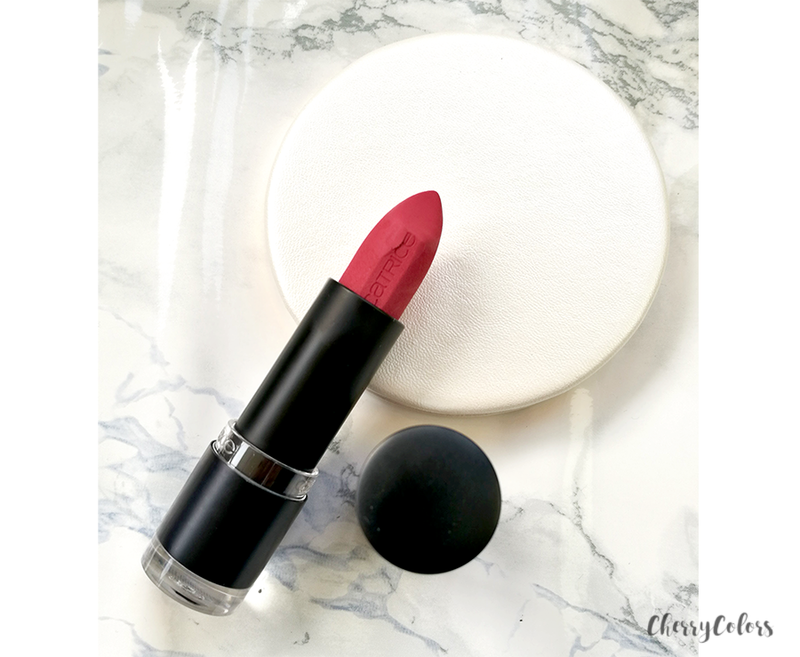 I had absolutely no problem reapplying it and felt like this was the easiest lipstick to wear. But because I drink a lot of water during the day and also snack quite a bit, I don't like to wear it every single day. But that's more of a "lipstick problem" than "this lipstick problem". I prefer liquid lipstick because of their durability but at the same time, I don't like how drying they are. 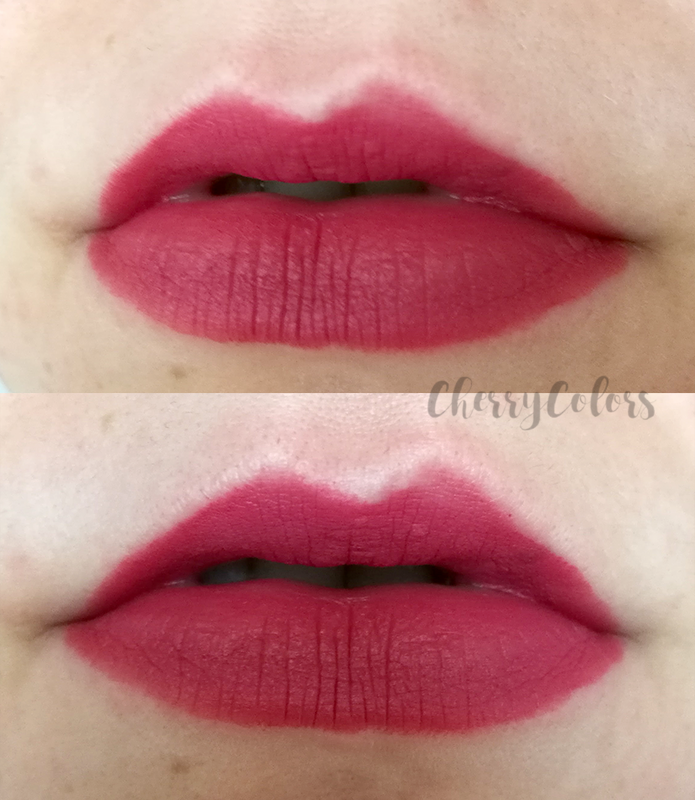 I am surprised how well Catrice reformulated their matte lipsticks. I remember having one or two back in the day and those were pretty heavy (Ultimate MATTraction) but I loved them anyway. These are lighter and I think if this formula was available back in the day, I'd get "into lipstick" sooner. I like that after application they feel like you're not wearing anything on your lips. But of course, as these are creamy lipstick they aren't very long lasting and they transfer with kissing. Catrice is still a great brand that is constantly improving their products and keeps with the trends for a fraction of the price of other brands. You can find all the other shades (6 in total) on their website.